The discovery of America by Christopher Columbus has opened a new world and significantly changed people’s life. Since then, millions of people have come to America in pursuit of better life, freedom and new opportunities. The US is often called “the Land of Immigrants”. Several hundred years ago the first colonists and early settlers laid the foundations of the country we know today. Every year the USA takes in more immigrants than any other country. Hundreds and thousands of people from all over the world come to the US to live and work here. America is a melting pot where people and cultures meet and merge with each other. The United States values the contribution each person makes to the country. We welcome those who wish to become an American citizen. It is especially important to do in a lawful manner and follow the guidance of the US immigration law. Below you can find information about immigration visas and procedures. Immigrant visas are for those who plan to live permanently in the United States. It is the first step in acquiring the U.S. citizenship as the immigrant visa allows to apply for entry and admission to the US as a Legal Permanent Resident. 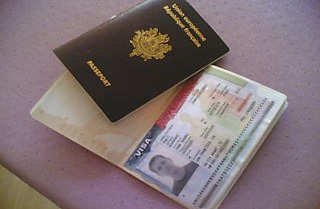 In most cases immigrant visa application process starts when a qualified family member who is a U.S. citizen or legal permanent resident files a petition on behalf of the intending immigrant to the U. S. Citizenship & Immigration Service (USCIS) in the United States or at a U.S. Embassy/Consulate abroad. It is also possible for a U.S. employer to file a petition for a foreign national. This petition must have been approved by the USCIS before the intending immigrant applies for an immigrant visa. An individual with an approved petition and a priority date that is current for processing (when applicable) is eligible to apply for an immigrant visa or K non immigrant visa. Most often immigrant visas are issued when a family member submits a petition on behalf of the intending immigrant. A U.S. citizen can file an immigrant visa petition for their spouse, son or daughter, and other immediate relatives like parents, brothers or sisters. A U.S. lawful permanent resident can file an immigrant visa petition for their spouse and unmarried children. A U.S. employer can file an immigrant visa petition for a foreign national eligible for a permanent job position. In some cases the U.S. immigration law allows prospective immigrants to sponsor themselves. The US immigration law also allows a US citizen petitioning for the immigration of a foreign fiancé(e) for marriage in the United States or an orphan child to be adopted in the USA. There are also special categories of immigrant visas for certain types of skilled workers. Remember that the number of immigrant visas available each year is limited, with certain limitations by country. There is a $165.00 USCIS Immigrant Fee for all individuals issued immigrant visas overseas that must be paid before traveling to the United States. Only prospective adoptive parents whose child(ren) is/are entering the United States under either the Orphan or Hague Process, Iraqi and Afghan special immigrants who were employed by the U.S. government, returning residents, and those issued K visas are exempt from the new fee. All immigrant visa applicants must undergo a medical exam by an U.S. Embassy/Consulate-approved Panel Physician. Instructions about how to schedule an appointment for the medical exam are available from National Visa Center (NVC) or the U.S. Embassy/Consulate.